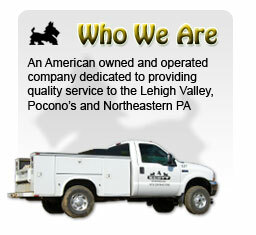 A Scott Enterprises Inc. has been a full service site contractor out of Saylorsburg, PA for over 22 years. 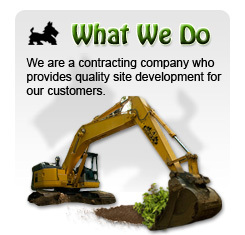 We are an established and experienced excavation contractor offering services for residential, commercial and industrial construction projects throughout the Lehigh Valley, Poconos and the Northeastern PA.
Our experience includes a variety of different construction projects including roadwork, commercial development, and industrial site preparation. Whether your project is large or small, we offer an excavation service to meet your needs. A. Scott Enterprises, Inc. also provides maintenance and Pennsylvania State inspection for passenger and fleet vehicles; light and heavy duty trucks; and industrial equipment. We endorse a strong preventative maintenance program to extend the usability and life of your vehicle. Our full service repair facility includes options for 24-hour Emergency Roadside Assistance and On-Site repair. 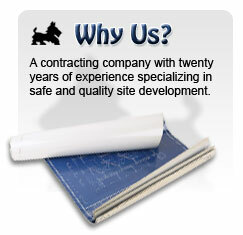 Please take a moment to browse through our website to learn more about our services. If you have any questions or comments, please don’t hesitate to contact us.